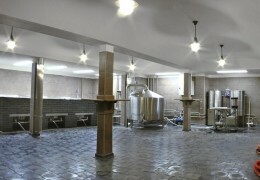 The tour takes about 30 minutes; visitors will learn about the history of the original farmstead, the construction of the Beer Yard in Pilsen – Černice, the origin of the PURKMISTR trademark, and the principles of beer brewing. By the end of the tour, visitors are acquainted with the characteristics of the beers we brew, including the opportunity of a tasting. Individual tours are possible on weekdays from 11am to 3pm.